Olive oil is the perfect cooking oil for all your Passover cooking. All extra virgin olive oils are Kosher for Passover, as long as it bears the appropriate symbol. For an extra treat, try this recipe for homemade matzo. In a large bowl mix together the flour and salt. Whisk together the olive oil and water and add to the flour mixture. Put flour, salt and olive oil in a food processor. Once machine is on, add 1/2 cup water. Continue to run machine until dough forms a firm ball, rides around on blade and is not at all sticky. Cut the dough into 12 balls. Roll each into a 6-8 inch circle. Or you can flatten with your hands for a more rustic approach. Bake for 2 or 3 minutes until they begin to puff up and brown. Flip and cook for one minute on the other side. Do not try to make too many pieces at once. 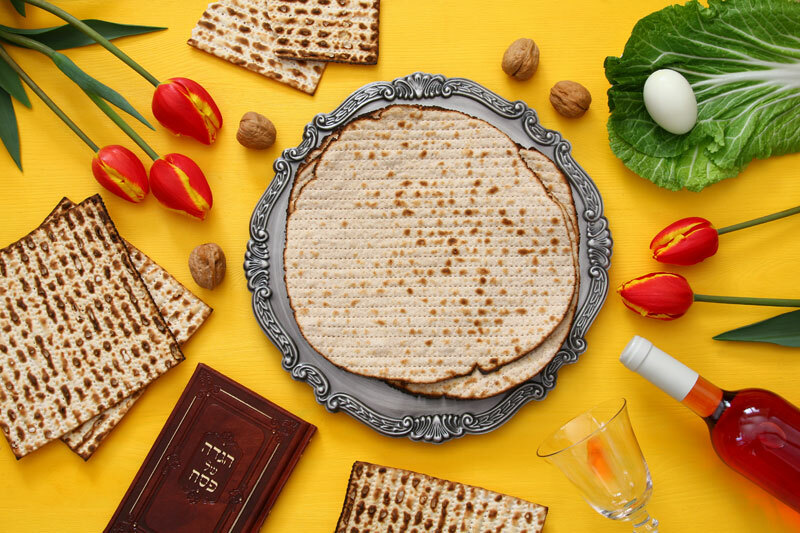 You will need to watch the matzo closely to prevent burning!